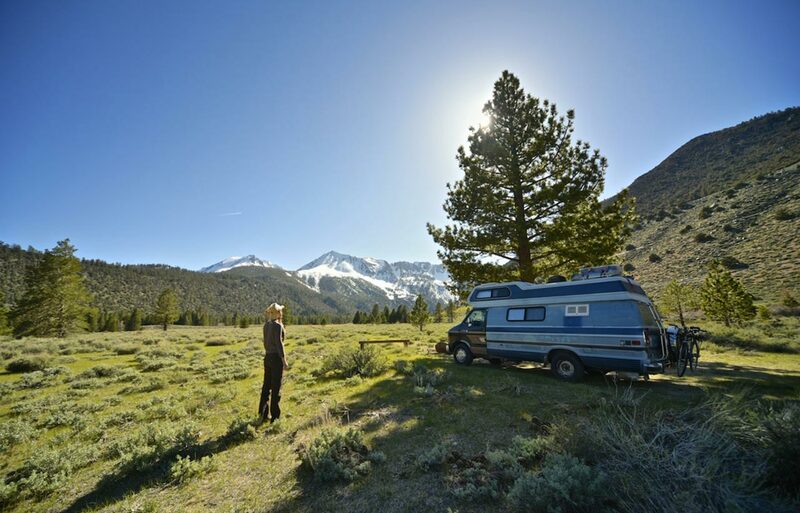 Planning an extended road trip this summer in your RV? Sometimes the best way to explore is slow and steady. A few weeks on the road gives you a real chance to experience the route while you search for those hidden gems along the highway: beautiful lookouts, delicious diners or tiny towns with a little charm. Deciding how much you want to spend on your road trip should be your first step. From this number you can break it down to how many days you can reasonably spend away from home without breaking your budget. Next, plan the route you want to take and create a timeline. Include a rough estimate of time on the road and time spent exploring at each stop along the way. Not sure where you want to go? Here’s a few ideas! You never know what kind of locals you might get chatting with around the campfire. Leave time in your schedule for the recommendations you are sure to gather from friendly locals along the way. Always know where the next gas station will be. There’s nothing worse than the feeling when the gas light dings and the nearest stop is miles away. Along the more remote sections of highway, you will thank us for reminding you of this one! The same rule applies for snacks as it does for gas stations. Days on the road can be rough if you aren’t prepared for anything! Keep your snack kitty well-stocked with these road trip snacks to keep your crew happy! When you are travelling, you are likely living outside of your normal routine. Indulging in all the treats you pass by on the highway might seem like a good idea at first, but you could end up with a tummy ache. Instead, choose healthy options wherever possible, especially for days on the road. Healthy food keeps your spirits and energy high! Cook meals wherever possible as well. We have heaps of camping meal ideas in our community’s Facebook Group: Wildhood Recipe Club! In which direction do you plan to travel? East to west generally tends to be about the same weather across the country. If your route includes a long stint north or south, be prepared for shifts in weather patterns and pack accordingly! When leaving your home for an extended period, you should plan to have someone check on your house. Some neighbourhoods have specific rules as to how long your grass can get, duration for unchecked mail and other clues that no one is home. A house sitter can help give you that extra piece of mind while you’re away on holiday. Even though everything is digital these days, you never know what might happen to your cell phone. Pack a hard copy of your RV route, campsite reservations and emergency information. If you are crossing the border or traveling abroad, it’s also a good idea to keep a photocopy of your passport with someone you trust at home. Depending on where you travel, you might need to buy insurance. If you’re crossing the border, health insurance is an important consideration in your travel plans. Let us help you with your RV trip planning! We have a wide range of routes, recipes, how-to’s, travel inspiration and trip planning resourceson the Go RVing Canada website. Do you have any travel tips of your own to share? Let us know! Join our community on Facebook, Twitter, Instagram and Pinterest to join the conversation!